Acclaimed classical violinist Jenny Oaks Baker joins Emmy-award-winning composer Kurt Bestor to create a memorable and entertaining album adapted from classic Disney favorites. This album will prove to be a favorite among generations who grew up with these Disney classics and children who are now discovering them for the first time. No family's music collection is complete without Jenny Oaks Baker's new album. My favorite CD - Even my older teen boys like it. It reminds their beloved Disney movies. Beautifully orchestrated. I love her other arrangements and was not disappointed with this latest CD. She makes the Violin sing as she adds her flare to each classic. We often have it playing in the kitchen while we make meals. 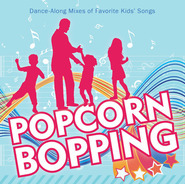 Our kids love it and recognize some of the songs they know. I absolutely LOVE this CD! 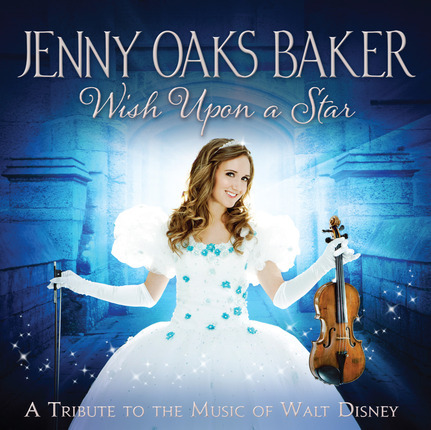 Jenny Oaks Baker is amazing, and she does beautiful arrangements of all the Disney songs. This is a wonderful CD for anyone who loves music! Jenny Oaks Baker's great musical talent, combined with the magic of Disney... Can't get much better than that!! I am a violinist myself, and the first time I heard Jenny Oaks Baker, she immediately became my all time favorite violinist. She doesn't just play wonderfully, she plays with the Spirit. As I listen to this CD, I am transported back to my childhood where innocence and happiness dominated. I realize that, with the Lord's help, my dream of teaching music and becoming a wife and a mother is possible if it is the Lord's plan. jenny oaks baker is one of my top favorite music artists. this newest 'wish upon a star' is joyful to listen and enjoy. 5 stars is not enough to rate her talents on this cd. I just love Disney music. I listen to it while house cleaning and imagine all "the little animals" helping me. LOL! Disney songs uplift me and help me see the brighter, peaceful, and blessed life I've been given. This is a necessary CD for anyone who is fed up with the duldrums of everyday life. I feel the Spirit when I play this CD while doing chores. It brightens my day and I tackle problems better and with more hope. Love this CD! Thank you! The brilliant Jenny Oaks Baker has found the perfect musical vehicle. Young, accomplished and musically daring, this virtuosic tour-de-force takes on some of the most beloved of Disney's music. At times playful, and at other times somber, Jenny accompanied by a well-matched orchestra pulls at the heartstrings of our collective musical childhood. Bravo Jenny! We will be looking forward to much more. I absolutely love this cd. Whenever I need a break this is what I listen to. It's very soothing. It's great to hear all these Disney songs on one cd. I'd recommend this cd to everyone of all ages. 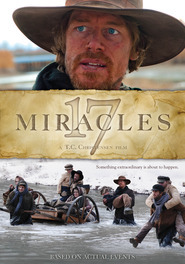 Jenny has created another wonderful CD. her talents take the Disney princess music to a level of WOW. Thank you Jenny for sharing your talents.